SB CrossFit has a no refund policy. What you pay for is a spot in our gym, and not the time you are spending there. You can not terminate the membership within the comitment time (12, 6, or 3 months). It is agreed that all exercises, including the use of the gym machinery and equipment designed for exercise and SB CrossFit, areas and premises\ facility shall be at the visitor’s sole risk. Notwithstanding any consultation on exercise programs which may be provided by SB CrossFit’s employees or agents, it is hereby understood that the selection of exercise programs, methods and types of equipment shall be visitor’s entire responsibility, and SB CrossFit shall not be liable to visitor or visitor’s family for any claims, demands, injuries,damages,or actions arising due to injury to visitor’s person or property arising out of or in connection with the use by visitor of the services and facilities of SB CrossFit or the premises where the same is located. If visitor\Member brings any personal property onto the premises or onto the parking area, visitor takes such action at the visitor’s sole risk. It is hereby understood that SB CrossFit is not responsible for damage or loss of any personal property which visitor brings onto the premises. Visitor hereby holds the SB CrossFit, of its successors,assigns,owner’s officers,directors,employees,and agents harmless from all claims which may be brought against them by visitor,on visitor’s behalf,by visitor’s family,and visitor’s executors,administrators,and personal representative for any such injuries or claims aforesaid and visitor for himself and on behalf of his family, executors, administrators, and personal representatives does here by forever release and discharge SB CrossFit,its successors,assigns,owners,officers,directors, employees and agents from all claims,demands,injuries,actions,losses,and expenses. This section will survive any cancellation of this agreement,waiver or contract. Internet,photos or any other advertising methods. 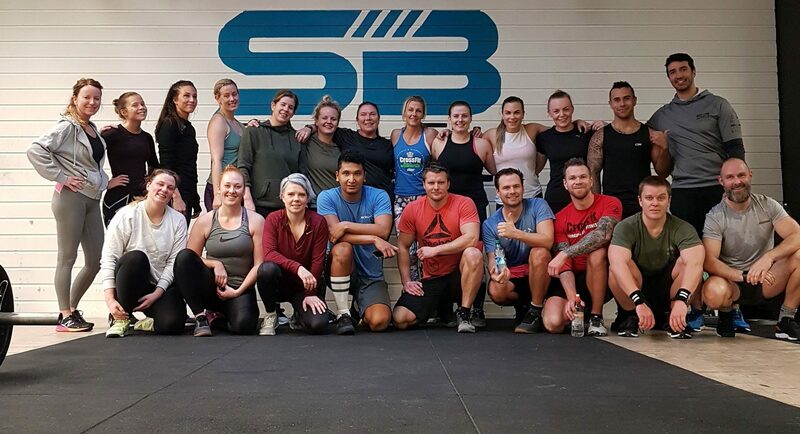 The images may be used for advertisement without claims, demands,injuries,actions,losses,and expenses against SB CrossFit and its successors,assigns,owner’s officers, directors, employees, and agents..
SB CrossFit What We Won’t Do Your privacy matters to you – so it matters to us. We promise NEVER to release your personal details to any outside company for mailing or marketing purposes. What We Will Do Users contacting this website and/or it’s owners do so at their own discretion and provide any such personal details requested at their own risk. Your personal information is kept private and stored securely until a time it is no longer required or has no use, as detailed in the Data Protection Act 1998. Every effort has been made to ensure a safe and secure form to email submission process but advise users using such form to email processes that they do so at their own risk. This website and it’s owners use any information submitted to provide you with further information about the products / services they offer or to assist you in answering any questions or queries you may have submitted. This includes using your details to subscribe you to any email newsletter program the website operates but only if this was made clear to you and your express permission was granted when submitting any form to email process. Or whereby you the consumer have previously purchased from or enquired about purchasing from the company a product or service that the email newsletter relates to. This is by no means an entire list of your user rights in regard to receiving email marketing material. Your details are not passed on to any third parties..